Georgia tax officials said Friday that some 2017 refunds may be delayed due to fraud prevention efforts, a warning that comes after complaints this year that it took longer than usual to process income tax returns. Starting next year, all first-time Georgia income tax filers or taxpayers who have not filed here for at least five years will only be able to receive refunds in the form of a paper check and not by electronic transfer. Georgia won’t begin processing individual returns until Feb. 1, with officials saying it could take more than 90 days to issue a refund if one is due. Check the Status of your Georgia State Tax Refund 2017. 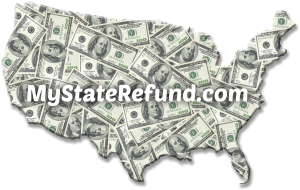 Calculate your Georgia State Tax Refund. Businesses, too, are being warned that the date to file employee W-2 information with the state has been moved up a month to Jan. 31. The 2016 Georgia Tax Return Delay affected about 1 percent of Georgians, or about 100,000 taxpayers, and were due to a variety of outside forces — including increased attempts to cheat the system. Department of Revenue Commissioner Lynne Riley said Friday the department ended up blocking more than $70 million fraudulent returns in 2016, compared to $19 million in 2015. That increase came as the department overhauled how it handles its filing process. The agency earlier this year implemented more sophisticated systems that automatically scan returns for potential fraud or missing information. But the system, which cost about $1.2 million, must be re-calibrated for each new threat. The agency is encouraging taxpayers to register online with the department’s tax center website to monitor the status of their returns. Registered users can also get fraud alerts to notify them when a return has been filed with their Social Security number. This entry was posted in 2017, Georgia, Tax Delay and tagged 2017, GA, Georgia, Georgia Tax Return, State Tax Refund, Tax Delay. Bookmark the permalink. Follow any comments here with the RSS feed for this post. Both comments and trackbacks are currently closed.